Veenas Vegnation: Another award and i am tagged!!!!! 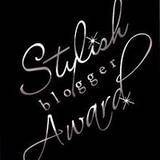 Another award and i am tagged!!!!! Hope you all had a great start for the 2011. 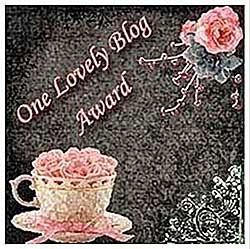 Mine started with a bang too:-)I wanted to start this new year blog posting with my awards. I have always loved to experiment with my cooking and i must say that the true inspiration is always my daughter. Yes, she inspires me!!!! I know i am a little late in answering this .Preferably with friends. 7 . Do you have a New Year's resolution-and will you be sticking to it? 8. Do you time your breakfast,lunch & dinner or eat when you are hungry ? I try to maintain specific time but am not very fussy if for some unavoidable reason this changes. 9. What inspired you to write a food blog ? 10. You try a new recipe and it does not turn out good,what will you do ? I do not give up very easily . I will try it again and make small changes to make it work. 11. Name three ingredients you consciously avoid or eliminate even when the recipe calls for it ? 12. Name three things you have to use in most recipes ? 13. How important is eating meals together as a family to you? It is very important to me and my family. That is the time we can catch up with everyone .